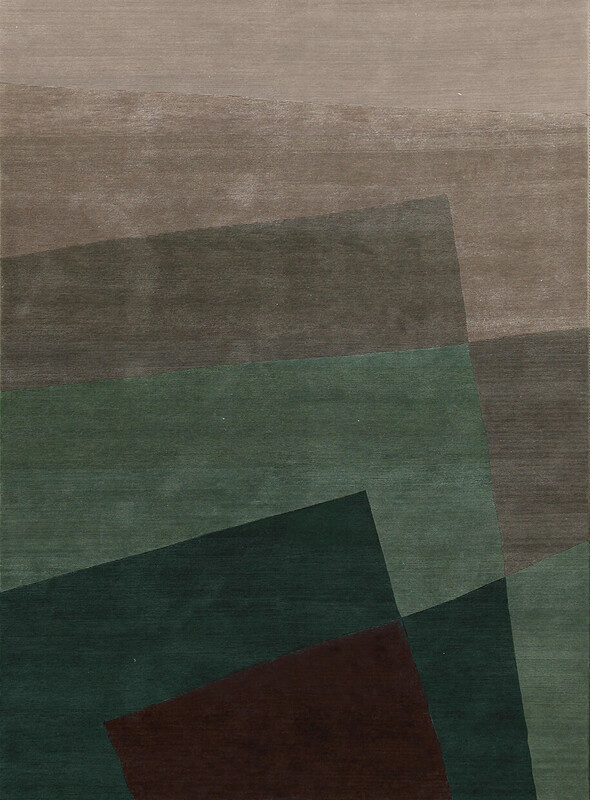 What is the carpet to Rodolfo Dordoni? It is the connector between moments in our lives and in furnishings. 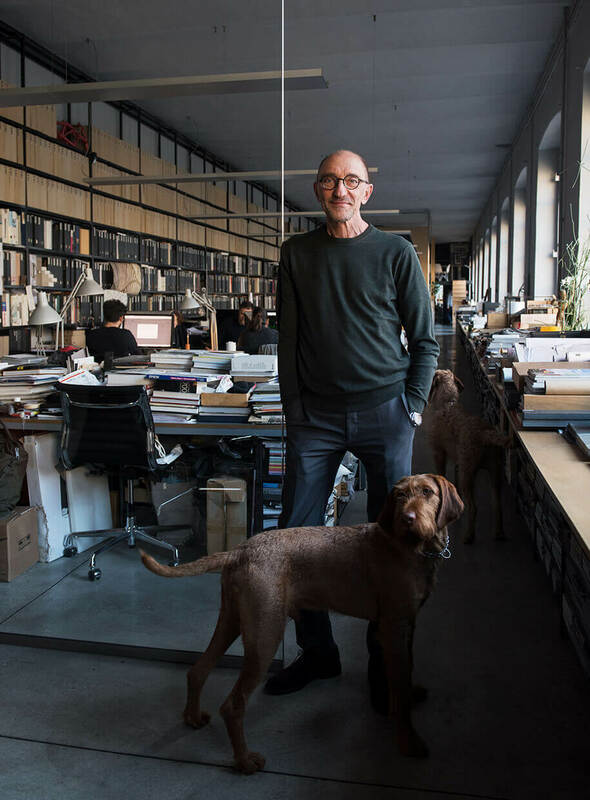 To me the carpet represents the bond and the binder between the different subjects – furnishings, accessories, but also people – that inhabit it. What does it mean for you to create a rug? I have to make a premise: I went to art school, I can draw very well, freehand, but I am aware of my inability to execute work that somehow begins not from manual skills, but from an interior spark that I lack. I am familiar with contemporary art, and love it greatly, but I am aware that I am not an artist. 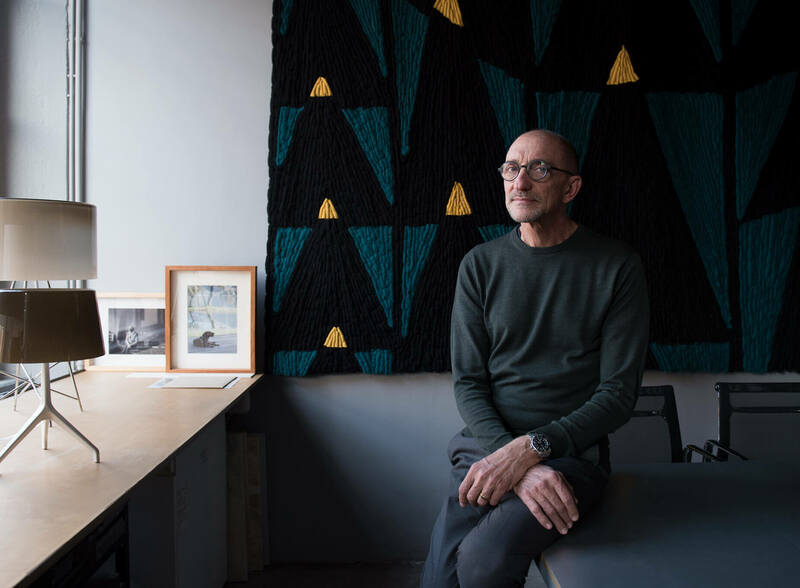 Creating a rug is therefore for me the moment when I am probably closer to the art world, even if I then place greater emphasis on a rationale that has edges closer towards craftsmanship or repeatability and reproducibility. Making a rug is the most artistic expression of my work. Shade, Perspective, Grid Berber and Grid Kilim: how do these new collections come into being? My mindset is shaped by a great belief in rationality, and strong geometric features have a strong influence on me. From the beginning I wanted to be very clear with my design, and for this reason I avoided any kind of transversal abstraction or disinterpretation, because as an expert in 3D-design I had to make sure that the basic idea would not be altered through the change of dimension, ie in its transposition onto a 2D-plane. 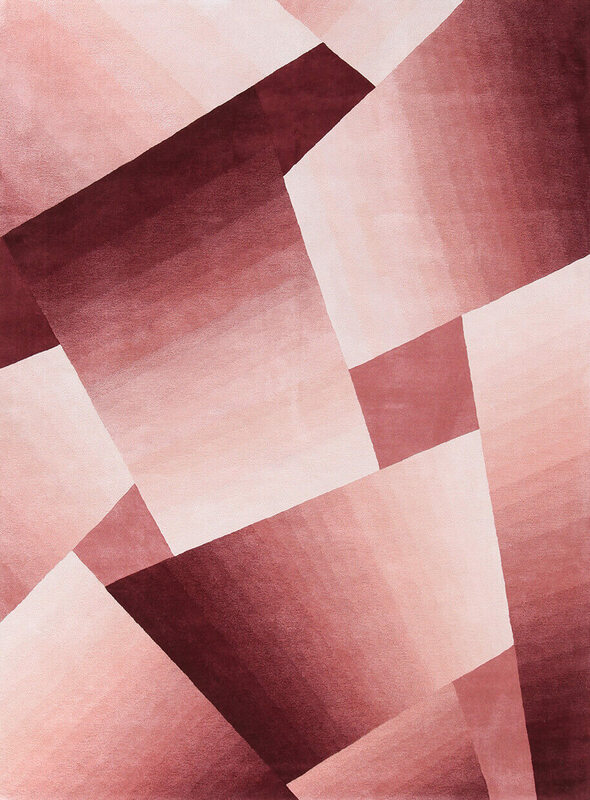 The sense of perspective and depth of the Shade series is heightened by the colors that fade, intensify and shift, creating dazzling geometric effects. Also the Perspective carpets represent an exercise in geometry, but their 3D features are somewhat less accentuated: my aim was to create the typical visual effect of bands that intertwine as if they moved in waves or ripples. 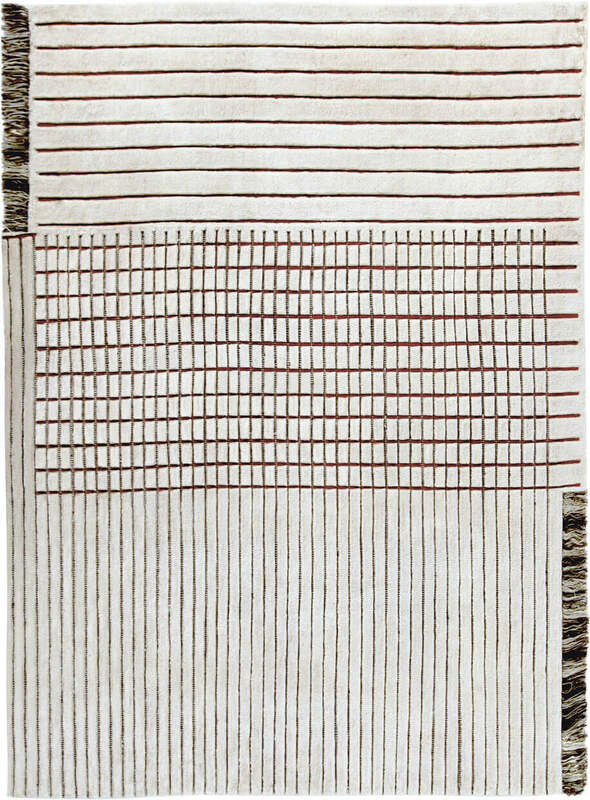 Whereas the work surrounding Shade and Perspective was mainly pictorial, the one for Grid Berber and Grid Kilim were more manual, and it was the collection I worked on the most. I started with a drawing, an almost childlike geometry in which the reading of the material, that is the typical thickness of the traditional Berber carpet, is deliberately more rudimentary, more spontaneous. I worked on the fundamental elements of the Berber carpet, its pile and its patterns, which I recomposed, exaggerating their geometry, modifying the depths of the stroke, intervening with color accents to give a different graphic depth than the others. With its colors overlapping one another, Shade is certainly connected to art and has more of a “dry” feel. How were the textures and materials chosen? I suggested looking closely at three different types of weaving to highlight the characteristics of each collection, and the various cultural origins of carpets. Tactile as well as visual perception is therefore another factor that we have worked on. With its colors overlapping one another, Shade is certainly connected to art and has more of a “dry” feel. The nuances of Perspective are reminiscent of certain Art Deco velvets, harking back to the world of interior decoration and for this reason we chose to step up with greater softness. Grid Berber and Grid Kilim are utterly bound to the world of craftsmanship, with the length and consistency of the pile lending a striking three-dimensional quality to the design. How do you envisage the homes of customers who will choose these rugs? Whoever chooses Shade or Perspective would certainly qualify as a bold consumer, perhaps even somewhat fussy. For sure, these are not easy rugs, indeed to be appreciated they must be understood. I imagine them in homes where everything is chosen with extreme care. Frankly, the Grid’s are more classic, with broader appeal, and its owners are likely to live in a contemporary-decorated home. Still, it will be interesting to see people’s reactions to these collections. What is it like to work with a company like Amini? I immediately felt at ease because I found people to be open and ready to deal with any issue. In short, a great sense of calm: this was the fundamental aspect that allowed these designs – so bursting with energy – to be taken in and understood. It is not the first time that I have been designing carpets, but certain business associates I’ve had would often treat the carpet as a simple decoration. With Amini there was a really thorough research, instead. What will the carpets of the future be like? No doubt they will be flying carpets! 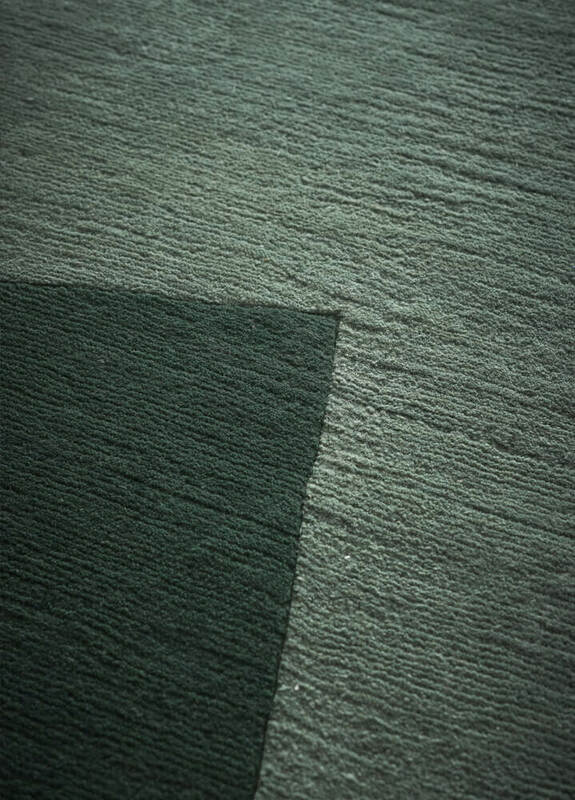 With all these drones around, I expect that somewhere down the line carpets will resume their main purpose: flying.